is the action theatre ensemble’s first art project with Frakfurt-based concept artist Peter Zizka. It was developed in 2004 within the scope of the opera “The Civil warS”. 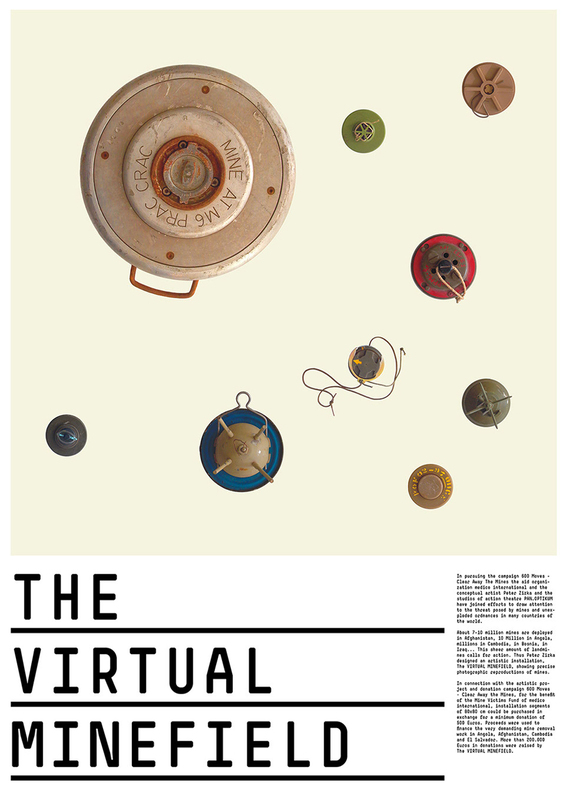 600 floor elements bearing photographs of landmines form a virtual minefield. 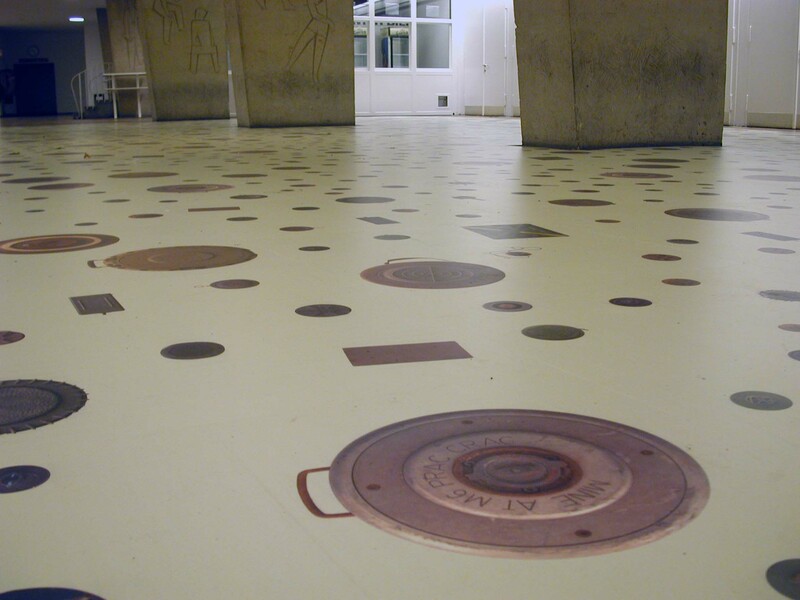 Since its first exhibition in Freiburg, this floor installation has made its way through various museums, e.g. 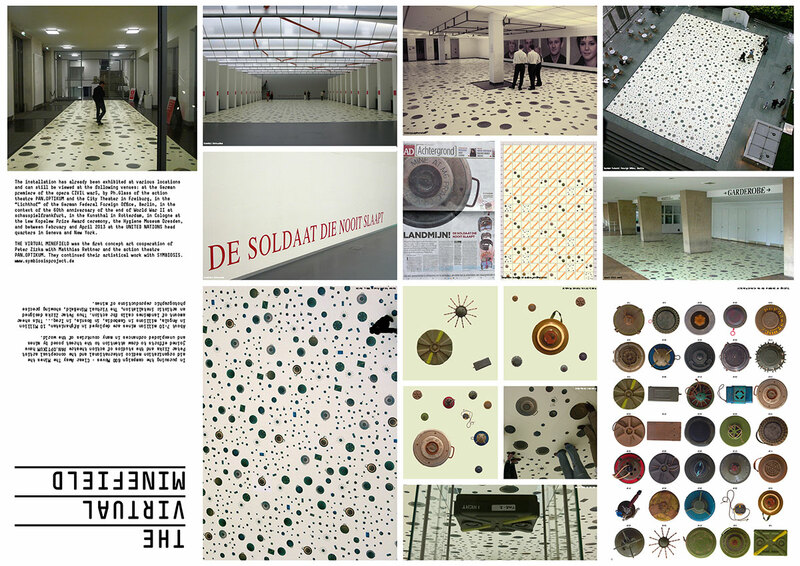 the Kunsthal in Rotterdam and the Hygiene Museum in Dresden. 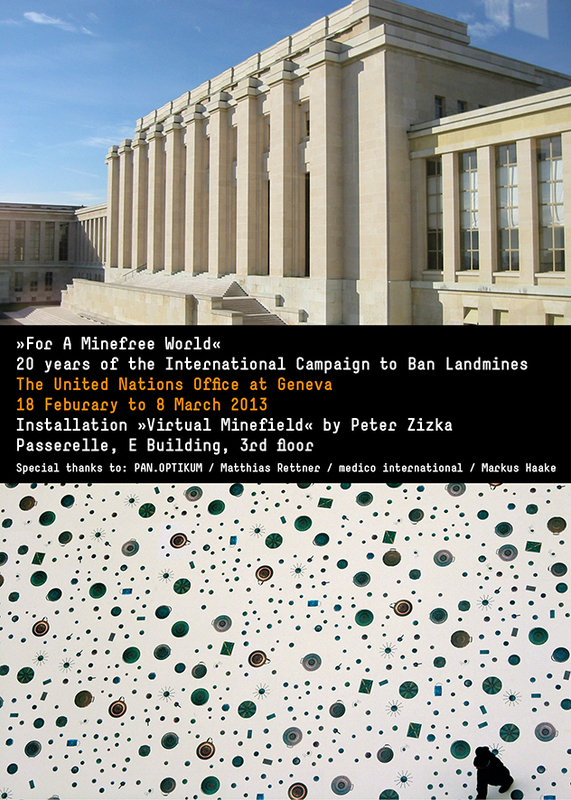 However, it has also made an appearance in public buildings such as the atrium of the Federal Foreign Office and most recently in the main buildings of the United Nations in Geneva and New York. Proceeds from the sale of the exhibits went towards financing the clearing of mine-infested regions. A joint project with medico international.